Consistently ranked among the country’s happiest and most desirable cities, it’s no surprise Brighton is incredibly popular with potential homebuyers. Located on England’s sunny south coast, together with neighbouring Hove, the urban area has population of around 290,000 and offers great access to the capital. That’s just part of the reason you’ll find a really strong property market in the city. At My Home Move Conveyancing, we’ve been tailoring our expert knowledge of markets like Brighton’s since 2001, enabling us to give all our clients a professional and efficient conveyancing service. You’ll need to instruct property lawyers to carry out legal work on your behalf, if you decide to buy or sell a home in the Brighton area. 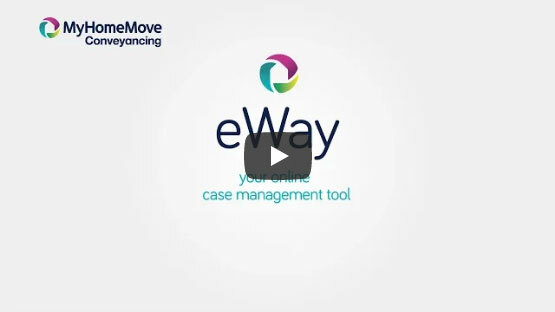 Consider My Home Move Conveyancing for our award winning customer service, innovative use of technology and exceptional knowledge of the local market. All the work we undertake is fixed fee, so there are never any surprise charges waiting down the line when you choose us. What’s more, as your Brighton conveyancers, you won’t need to pay us a penny if your purchase or sale doesn’t complete for some reason. Once you begin the process with us, you’ll be assigned a dedicated conveyancer who’ll cover your case from start to finish. They’ll be on hand to provide regular updates, but you’ll also have access to an online account, where you can check how things are going 24 hours a day. At My Home Move Conveyancing, we’re delighted to provide conveyancing services in Brighton to homebuyers across the city, whether that’s right at the heart of town, or out in desirable suburbs like Kemptown and Moulsecoomb. Overall, the average amount paid for a property in Brighton over the last 12 months was £405,904. That represented a 7% increase in the 12 months prior to that. Flats made up the largest portion of sales, going for £291,833 on average, while terraced homes fetched £476,740 and semi-detached homes £442,380. With a settlement recorded in the Domesday Book, the city’s history is a rich one, but it’s in the Regency era that Brighton as we know it emerged. Its proximity to London and the continent, and renowned waters, made it a favourite for day trippers and holidaymakers of the time – something that’s still true of the city in 2019. Today, Brighton has blossomed into a thriving cultural capital, renowned for its music, arts, quirky retail areas and LGBT scene. The city has a large train station with very frequent services into London, as well as either way along the south coast. The A23 and M23 provide an efficient connection to the national motorway network, while Gatwick is the nearest major airport, just off this route. Brighton is well served for education, and there are plenty of great schools in town. Patcham High School and Varndean High School are among secondary options, while Middle Street Primary and Coombe Road Primary cater to younger ones. For higher education, options include the University of Brighton, University of Sussex and Greater Brighton Metropolitan College.